EMI has your answer to foundry machinery replacement parts and maintenance problems. Our personnel will work to provide you with the parts you need with the tolerances and specifications you require. We are able to assist you with immediate delivery of many repair parts from our stock inventory and offer complete repair kits for your in-house maintenance and repair needs. Proper maintenance of your casting equipment is necessary to maintain your employee safety, product quality, and customer delivery demands. Properly maintaining your casting equipment will maximize your profit potential. Equipment Manufacturers International, Inc (EMI) provides replacement part options for every new equipment installation, existing casting equipment, and even those supplied by other suppliers. Most importantly, EMI has the expertise to make sure you have the right part. EMI has acquired well known industry brands such as; Osborn, SPO, CE Cast, IMPACT, Sutter, and Herman. We provide replacement OEM parts to exact original specifications for all our acquired brands. Our parts and service group is dedicated to supporting you throughout the lifetime of your equipment. EMI experts can identify which parts are critical to your operations. 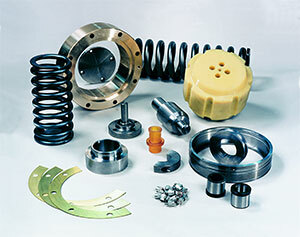 We stock many common parts and can usually respond with same day shipping.